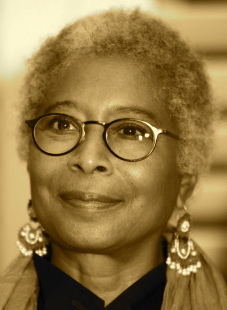 A Year of Being Here: Alice Walker: "I Will Keep Broken Things"
Curator's note: Today we have the pleasure of the poet reading her poem. Please turn your volume up as the recording level was somewhat low. If you can't see the viewer above, watch the video here. "I Will Keep Broken Things" by Alice Walker, from The Cushion in the Road: Meditation and Wandering as the Whole World Awakens to Being in Harm's Way. © The New Press, 2013. Video credit: A reading in celebration of the April, 2009, opening of Walker's archives at Emory University, uploaded by Emory University on September 16, 2011.